My wife bought her 2008 Nissan Versa new about a year before we got married. She/we have had it for 10 years and 115,000 miles. It moved us from AZ to WA. I’ve transported an entire screen door in it and about 1000 lbs of bark on separate but equally unsafe occasions. I drove on my first skidpad in that car. Also, my first accidental, icy 360. The Versa has flawlessly taken care of us with only minor maintenance costs. After replacing the front control arm bushings at about 105k, the car drives like new. It’s been paid off for 6 years and gets 30mpg on regular gas. The affordability of that car has enabled my ahem... somewhat less affordable automotive pursuits. While waiting for the Takata mess to be taken care of, my wife drove a loaner 2017 Sentra for 5 months. Neither of us liked it. 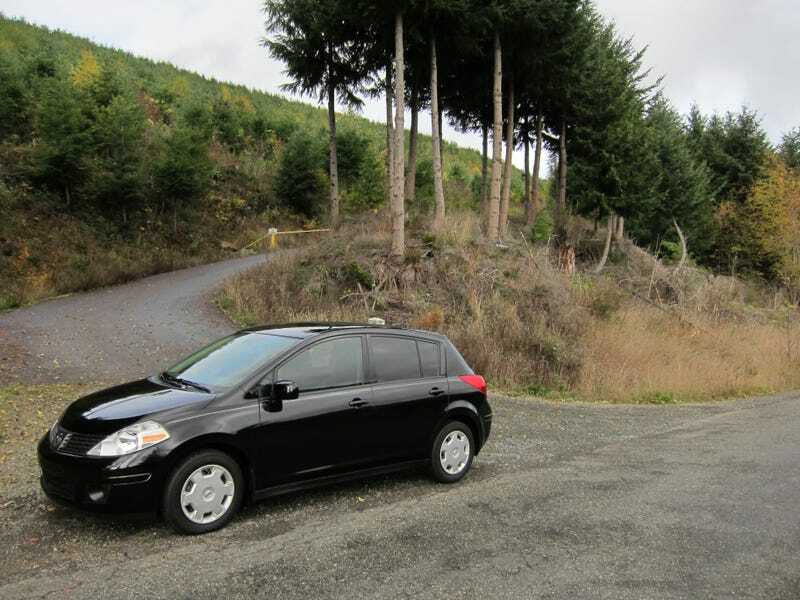 The Versa from 2008 has better steering thanks to its hydraulic steering pump; better/less annoying acceleration thanks to its conventional automatic transmission; better interior design and materials; better exterior looks (no great feat vs a Sentra). It is actually a little fun to drive the Versa, while the Sentra was just an unpleasant chore. As required by my Oppo membership contract, I’m constantly shopping for replacements. My wife will almost always come back with the same response: “but I like my car.” Then I’ll take a second to think about it and I’ll realize: so do I. If that’s not car enthusiasm, I don’t know what is. And I guess that makes the 2008 Nissan Versa an enthusiast car. Huh, who’d have guessed?